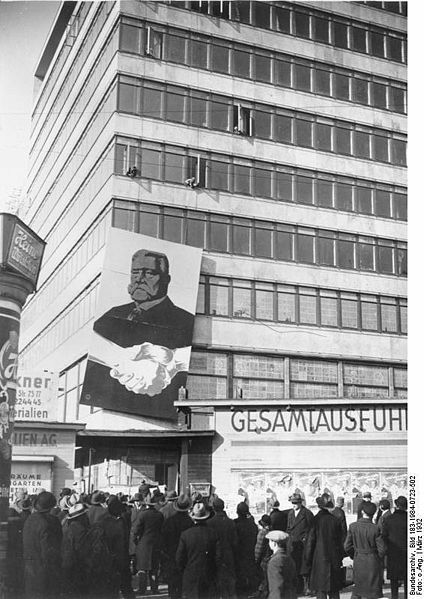 I am really enjoying looking through the images provided by the German Federal Archives to Wikimedia Commons. Look at that building! We can barely get anything that modern in New York in 2009! Published on January 31, 2009 7:36 PM. next entry: Richard Oliver Wilson: "Mr. Benn's Spare-time Continuum"